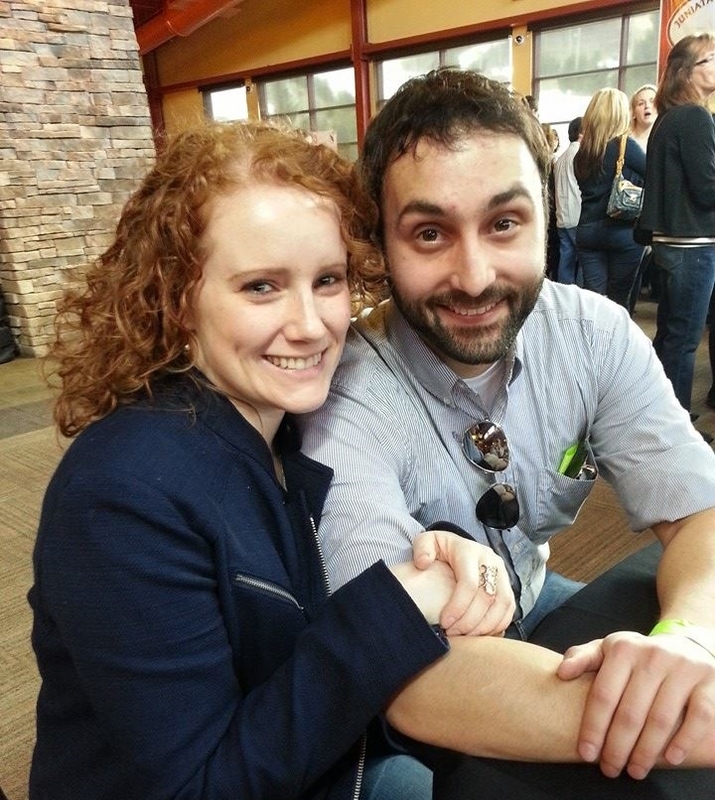 Brad and Kaitie met on Match.com in 2013...and got engaged in 2015! Here is their sweet online dating success story! Met on Match.com in 2013. Got married in 2016...Had their first kiddo in 2017! Short term – a trip to the PA Grand Canyon. Long term – buying a house and adopting another puppy! Update! Brad & Kaitie got married in 2016, and had their first child a year later! Who sent the first message, you or Brad? I sent the first message. Brad had looked at my profile a few times and I got a ‘wink’ from him, so I thought, Why not? On our second date he told me he'd been hesitant to make the first move because he thought I was way too pretty to talk to him. (Yeah, that earned him points!) Lucky for me, I’m more than willing to make the first move! Why Brad? What about his profile made you want to know more about him? The first thing I noticed was his picture, of course! For his main profile picture he used a very clear picture of just himself at a Spartan Race. It was really easy to see him and know who I would be talking to and also showed him doing something interesting. That really caught my eye (I remember thinking how cute he was and later showing that same picture to my mom and sister!) which then got me to read his profile. He was well spoken, sounded very friendly and easy going, and gave lots of interesting details about himself. He also let his sense of humor shine through. We had so much in common, so it was really easy to start a conversation with him and ask him questions. How did you transition from Match to meeting in person? We talked online for about 2 weeks before exchanging numbers. By the time Brad suggested we meet, we were texting and calling each other. I can’t remember exactly what he said but I know he expressed his interest and excitement to meet me in person. I remember being really flattered and excited because of how much he seemed to really want to make a first date happen. I also remember him saying that if I didn’t feel comfortable with that yet that he was fine with waiting too. That was so nice hear. There was no pressure! How did you know you were ready to meet in person? The more I talked to Brad, the more I realized how much we had in common. Plus he was so kind and thoughtful and very funny. One day we were texting when he was at work and we were talking about vacations we would like to take. He sent me a line from a Zac Brown Band song…”I got my toes in the water...” I sent the next line back to him and then he sent the next line back and so forth. It was just one of those perfect moments. I knew this guy was something special! How many guys did you meet in person through online dating before meeting Brad? I went on maybe 11 or 12 first dates. Out of that maybe 3 or 4 got to second dates, and 1 got to a third date. But none ever seemed quite right. In general, what were your biggest pet peeves about online dating? It’s very frustrating when men outright lie on their profile. Especially when you go to meet them and the lie is obvious... It makes for an awkward first meeting, which isn’t a good start! 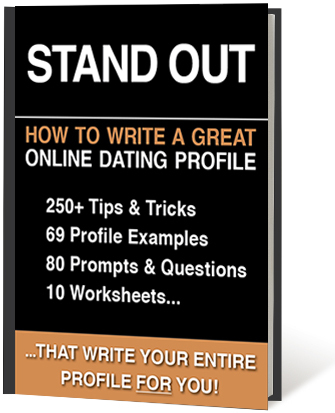 What advice do you have for guys who want to improve their game in online dating? Include a lot of photos that clearly show who you are, what you look like, and what you enjoy doing. It gives more insight into you and gives a woman something to talk to you about. For the same reason, include lots of details in your profile. If all you have is once picture and a short paragraph you’re probably not going to get many messages. Other than that, just be yourself. Put yourself out there. It can be scary, but eventually someone will make it all worth it! Some friends had met their girlfriends on Match.com and highly recommend it to me. I also was curious about online dating. I liked that I could easily find people around me who had similar interests. Reading a profile helped me get a sense about a girl's personality. What didn’t you like about online dating? I did not like how easily someone could pass by someone without knowing much about them. At times it felt like shopping, which discouraged me about the process slightly. What was it about Kaitie that made you want to meet her? One word… redhead! And that she seemed like an intelligent person with similar goals and interests as me. From there, things just got better and better! When did you realize that you didn’t want to see anyone other than Kaitie? After the first date I realized I wasn’t interested in dating someone else. Our first date was 8 hours long and much better than any other date I was ever on before. Do you tell people that you and Kaitie met through online dating? Yes. At first I wasn’t sure how to feel about it. People our age feel comfortable about it, while older adults seem to disagree with the idea more often. How many women did you meet in person through online dating before meeting Kaitie? I went on 2 other dates before meeting Kaitie. What tips or words of wisdom do you have for guys who are new to online dating? Edit your profile multiple times over. Just like writing a paper, your first draft probably will not be your best one because it’s difficult to think about everything you want to say and how to say it. I think it’s also good to include some humor in your descriptions to help keep things lighter and get some smiles from profile visitors. It's difficult to communicate personality in a dry description, and personality is important. Don’t get discouraged if online dating doesn’t bring results quickly. If you find that your profile and conversations don’t result in much, think about how you can change your approach. Thank you for sharing your sweet story, Brad and Kaitie! Congratulations on your first child! Read more online dating success stories here!